Auguste Clape was a true legend of not only the appellation of Cornas but of the whole northern Rhône Valley. He passed away this month at the age of 93. Clape made traditional Cornas of remarkable quality, complexity and the ability to evolve with long ageing in bottle. His son Pierre-Marie and grandson Olivier continue to do so. 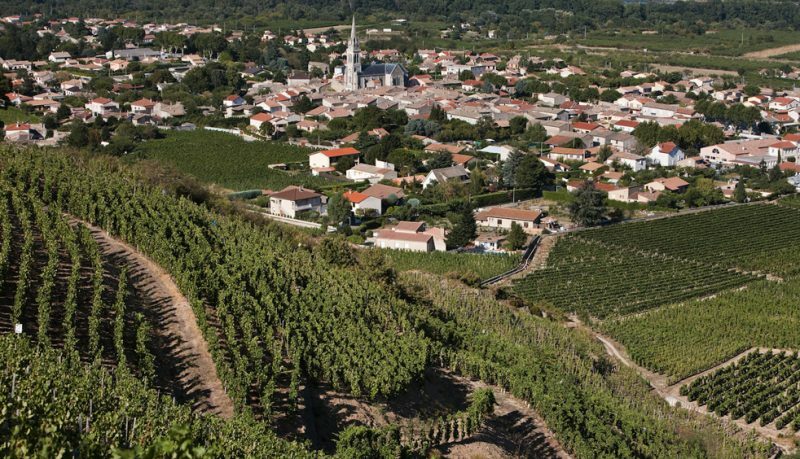 The wines, particularly the reds of the Rhône region have become both trendy and increasingly pricey in recent years. This wasn’t always the case but the Clape wines have been very well established not only in France but also in the United States and United Kingdom for decades. They were the first domaine to bottle their wines from the appellation in the late 1950s. Apart from at fairly impersonal tasting events like the Découvertes in the Rhône I met Auguste Clape with his son Pierre-Marie on one occasion while researching a dissertation on successfully growing Syrah with two other wine students. In what were certainly very traditional old cellars Auguste and Pierre-Marie expounded on their wine growing philosophy with the aid of chalk, making notes on the surface of one of their old foudres. We didn’t have a great grasp of French and nor did the Clape’s English. It didn’t matter, we discovered in remarkable detail the Clape approach of maintaining old vines and vineyards, planting by mass selection, vinifying their wines traditionally, although always ensuring the ripeness of whole bunches, not just grapes and much else. One of my great wine experiences. Auguste Clape has certainly left quite a legacy.